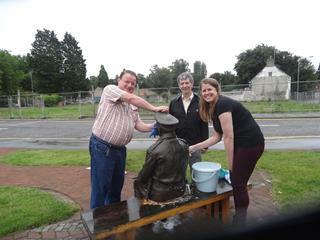 Some of the museum team had a busy Sunday morning cleaning the statue of Captain Mainwaring. He looks lovely again why not pop along and see him. If you become a volunteer you can also help keep the statue clean. Great friend to the museum, Steve Lilly, is a fantastic portrait artist from Birmingham. His work is incredible and we are very honoured to have him as part of our team. 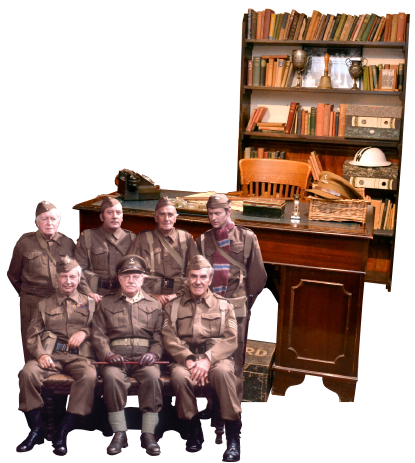 He has worked with us to create pieces that are exclusive to Dad's Army Museum Thetford - you simply can't buy them anywhere else!